D.C.'s population just keeps increasing -- even among the elephant segment. Three female elephants will move from the Calgary Zoo into cushy new digs in D.C. next spring, the Smithsonian's National Zoo announced Tuesday. The two older elephants, Kamala and Swarna, were born in the wild around 1975 and moved to the Pinnawala Elephant Orphanage in Sri Lanka in 1976. Kamala's daughter, Maharani, was born at the Calgary Zoo in 1990. They'll join the National Zoo's herd in spring 2014 -- and two of them will see some familiar faces. 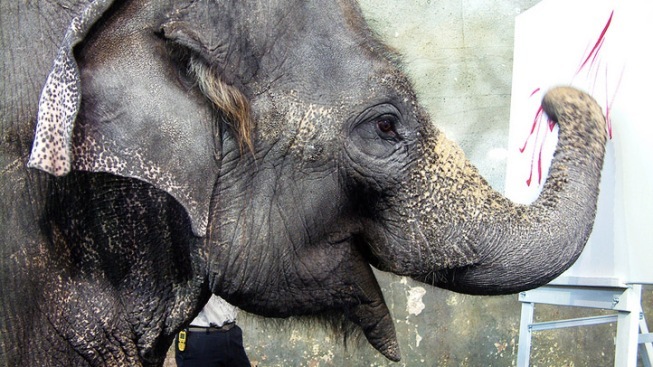 Records indicate that Kamala and Swarna lived at a Sri Lanka elephant orphanage during the same time as females Bozie and Shanthi, two members of the National Zoo's current herd. 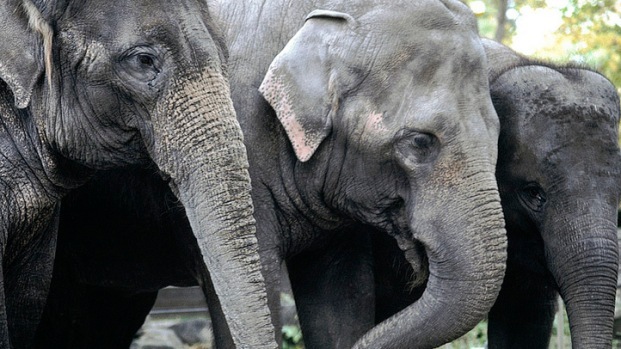 The new elephants will also join the zoo's 65-year-old Ambika and Kandula, Shanthi's 11-year-old son. The new elephants won't be able to get straight to socializing, though. Like Bozie, who arrived at the zoo earlier this year, they'll be quarantined for at least 30 days after their arrival. In the meantime, keepers will keep them entertained "with a variety of enrichment, including bamboo, boomer balls and puzzle feeders," the zoo said in a release Tuesday. Once the quarantine's over, zoo staff will begin the process of integrating the new elephants into the herd. Philanthropist David M. Rubenstein donated $2 million to help cover the costs of bringing the new elephants to D.C., including elephant transportation, keepers' travel and training, health care and more.